LaVar Ball has already said that his youngest son LaMelo will “definitely” play basketball overseas rather than play college basketball. Not shockingly, he’s putting blame for that decision on the NCAA. The elder Ball admitted during Sunday’s episode of “Ball in the Family” that LaMelo faced an uphill battle to receive NCAA eligibility. While you’d think LaMelo’s time playing for a professional team in Lithuania, or serving as a pitchman for his family’s shoe brand, or literally hiring an agent would be why a college career is unlikely for LaMelo, LaVar instead claimed the NCAA had it out for his youngest son. To be fair to LaVar, that “point” might simply be that you can’t play with pros, endorse a sneaker and hire an agent and honestly expect to play college ball. His Lithuanian career over, LaMelo has played this season for the SPIRE Institute, an elite prep program in Ohio as he prepares for the next step in his basketball career. While LaMelo has repeatedly said he wants to play in college, eligibility is a long shot at best for a litany of reasons. Some members of the Ball family’s inner circle discussed the upcoming legal fight later in the episode, and couldn’t, for the life of them, think of a reason why the NCAA wants to keep Ball out. “There’s no reason for him to not be eligible,” said Ball family business partner Alan Foster (this episode was taped in the winter, before the Ball family cut ties with Foster). Of course, contrary to Jackson’s and Foster’s assertion, there were plenty of reasons for Ball not to be eligible. 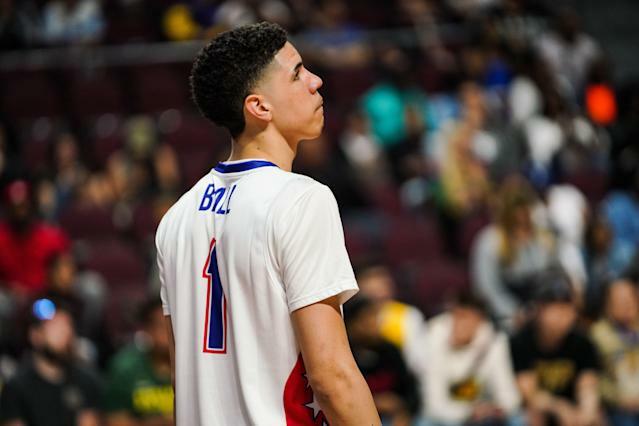 Rather than a lengthy and potentially costly fight with the NCAA over those reasons, LaVar eventually decided to have LaMelo prepare for the NBA overseas.